Orlando, FL, USA — IMPLY announced its additions for the world of entertainment at IAAPA Attractions Expo: The New MiniBowling and The Flintstones licensed games. The show, from November 18-21 in Orlando, FL, USA, offered a full week of business opportunities, networking events, educational experiences, besides featuring the attractions industry’s newest ideas, innovations, products, and services. Altogether, over 30,5 thousand visitors had exclusive access to the products with Imply brand. Bowling has always been a classic attraction. 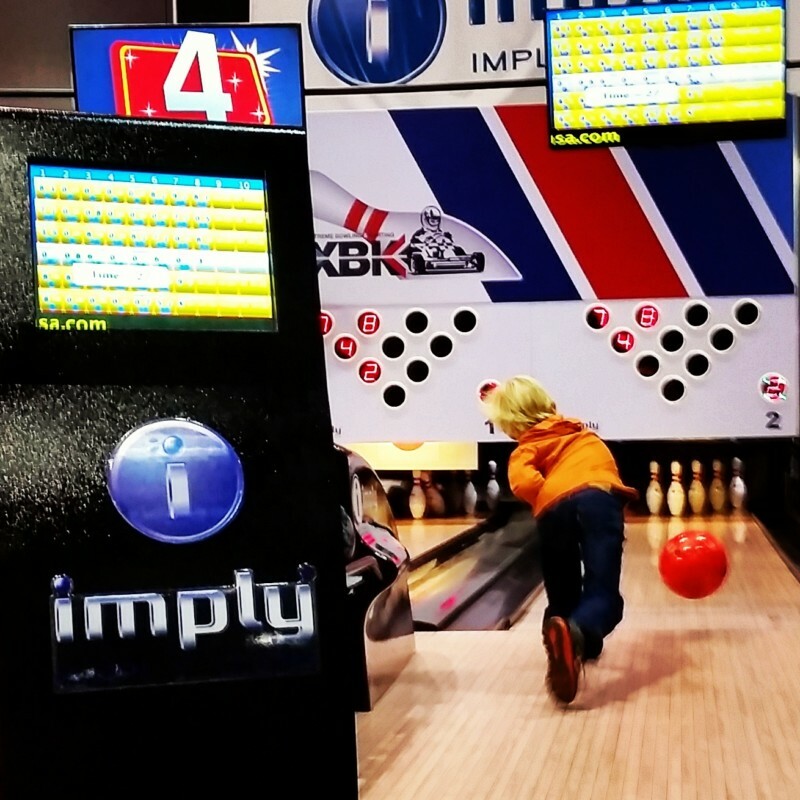 Now, IMPLY has reinvented the MiniBowling, introducing a totally reimagined attraction for family entertainment, designed to grow the operators profitability and improve customer experiences. With compact lanes from 37ft (11 meters), and the most enhanced designs ever for a scaled down bowling, MiniBowling is offered in six gorgeous themes with the coolest industry trends: Pop Art, Pub, Retro, Hipster, Space, and Bowling Classics. To complement the player’s area, a colorful range of sofas and tables offers more comfort to enjoy great times. In addition, glow in the dark effects, lighting effects along the lanes, and color-changing lights on the pins, and much more, compose an exciting destination. Engineered with the highest quality, the equipment delivers a great performance and is easy to operate. So you can confortably play, MiniBowling has a fast software with extremely simple and intuitive interface designed for better player experience. 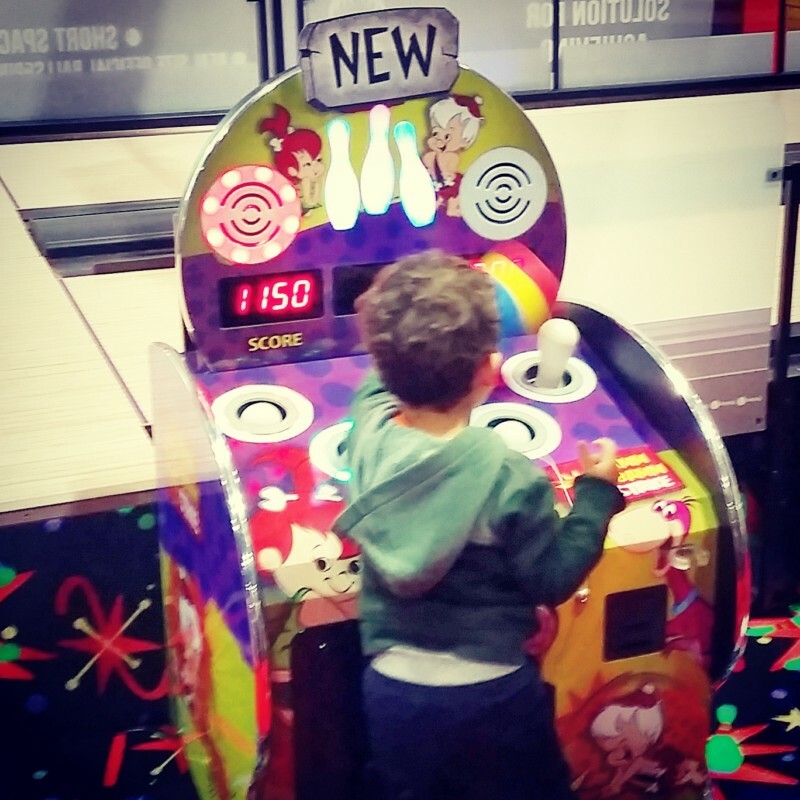 The compact lanes, smaller balls and pins also make the game easier for kids of all ages. Combining lots of fun and bowling together to create a cool vibe atmosphere, the new MiniBowling promises a hip future in the business. 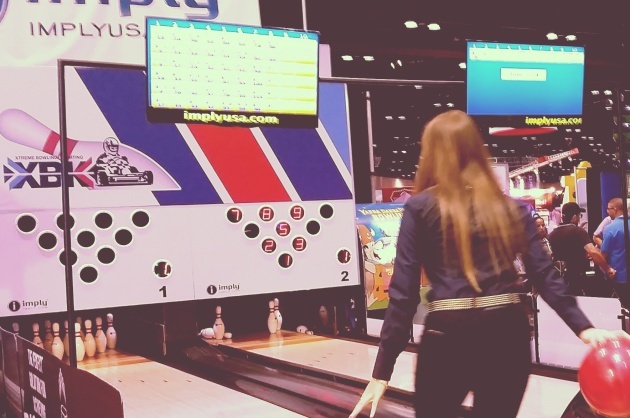 Besides the MiniBowling, Imply also presented at IAAPA two of its exclusive Bowling Café lanes, a concept with compact lanes, operated by front-desk or self-service, with official real-sized balls and pins. “The compact lanes make the game much easier. It is a new approach to the bowling experience, focused on family entertainment for having much more fun”, said the Imply CEO, Tironi Paz Ortiz. IMPLY have joined forces with the licencing division of Warner Bros., the largest movie studio in the world, creating new and exclusive games with the some of the most popular characters from the cartoon world: The Flintstones. Bamm Bamm Strike and Yabba Dabba Doo! Bowling are the biggest game releases since the stone age. “We are proud to work alongside with Warner Bros. on the development of this new games based on one of the most beloved cartoons of all time. Every detail was planned to bring fun-filled experiences. The Flintstones games will be a great addition in the universe of entertainment” said Tiana Ortiz, Imply Marketing Manager. Besides this attractions, Imply also presented iHockey and iFight, creative games which already are a success with the public.